This blog is being written by Anthony Marr the man, not as the founder and president of Heal Our Planet Earth (HOPE) or the Global Anti-Hunting Coalition (GAHC). It is a rare blog, about a non-event. The non-event is the one scheduled for the Maple Farm Sanctuary in Mendon, near Boston, in Massachusetts. Were I there, I’d be just winding up my talk right about now. But there was a severe problem for me to make it, so I decided not even to try. The talk was supposed to start at noon today, and the drive from where I am in Middlesex, New Jersey, to Mendon would be easily 6 hours, meaning that I would have to start driving as of about 5 a.m. to get there by about 11 a.m. Or else, I would have to drive to Mendon yesterday, which would be even tougher. Under normal circumstances I’d have no problem meeting either of these challenges, but the problem is that I came down with the flu on Wednesday night, right after returning to my friend Steve’s place in Middlesex, NJ, from the birthday dinner at Red Bank, NJ, in honor of my very dear friend Carol Davis. No, the flu was not contracted at the restaurant, but from Greenwich, CT, where, a couple of day prior, Natalie came down with the same symptoms, probably caught from her husband Bo who just return from Mexico on Sunday, who was not feeling well either. Both Wednesday and Thursday night, I did not have a wink of sleep. While on Wednesday night I was very uncomfortable with a 103+F fever, and obliged in repeated visits to the bathroom, Thursday night was the worse of the two, with these symptoms continuing intact, plus a severe stomach pain tormenting me relentlessly through the night. I tossed and turned from dusk till dawn, on my back, left, right, on my stomach, sitting up, lying back down, with zero reprieve in any position. 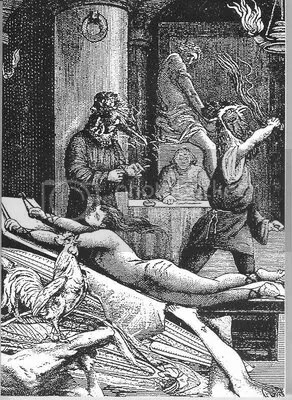 The worst was lying awake, staring up at the ceiling with my fevered imagination painting horrid scenes thereupon. The scene, as seen through blinding pain racking my body, is also that of a ceiling, except this one is twice as high, with no light fixture, no air-conditioning vent, no slowly rotating fan, no white wash, no elaborate corner ornament, but instead, it is smoke-darkened and soot-encrusted planking, supported by thick cross-beams, in turn supported by even thicker pillars. The ceiling slopes slightly, and at its highest point where it meets the wall, there is a chimney serving as the exit for whatever smoke generated in the room. Suspended from the beams are chains and pulleys and evil looking hooks caked with a black tarry substance, some of which is my own dried and congealed blood. I turn my head and look around the walls, and see that they too are farther away, but not so far as to make indistinguishable their building material, which is blocks of rough-hewn granite, to which are attached chains and cuffs, and mounted with all manners of wrought iron tools – blunt rods, sharp spikes, pliers, pincers, scissors, blades, saws… There are no windows, but the walls and ceiling are gloomily illuminated by several candles, and somewhat localized is a flickering reddish glow originating from a mound of burning coal in an iron brazier set near my bed. And my bed is not a bed. There is no soft mattress, no futon, not even a thin layer of straw, but bare wood. And the wood is not just plain wood, but is affixed with half-inch spikes spaced an inch apart in a square grid. And it is wet, with my blood. No, it is not a bed, but a rack, to which I’m attached, on which I’m stretched – to the limit just short of having at least one of my arms torn out of its socket, and when one goes, the other will quickly follow. And where my wrists and ankles are tied, the knots are so tight that all circulation have been cut off my hands and my feet. In fact, my hands have been useless for weeks from previous rackings. They are now going for my arm sockets. Other than the excruciating pain at my shoulders and my hips, other parts of my body scream with their own agony. All the bruises, welts, burn marks, cuts, missing skin, craters where muscles had been, open wounds, festering sores… Speaking of screams, the place is hardly silent. Screams fill the gloom, day in, day out, and day and night, which I often cannot distinguish. Most of the screams are from women, just some from men. I myself screamed a lot in the beginning, but now, I have learned to bite my tongue; it will take a lot more pain to force a sound out of my throat. 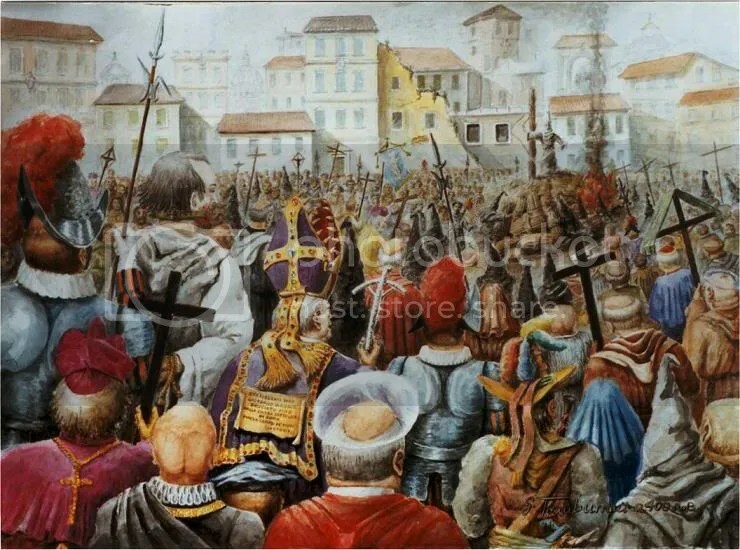 And speaking of pain, I haven’t known a painless day, nor a restful night, not for days, weeks, months, in fact years – eight so far – years – since the year 1592, to be exact, when I was arrested in Florence – for heresy. Now that pain has become an integral part of my lingering existence, I have taken to transforming it into compassion, the greater my pain, the greater my compassion, compassion for those who are just beginning to experience the hideous series tortures to which they are destined, with no happy ending, no peaceful exit. Just the agony, the severity of which unimaginable even to me, of the fiery grand finale to which I myself am fated. It is just a matter of time, and how many more torturous days to come. Much of my compassion is given to women, those innocent women who are accused of being witches. I’ve come to know the system inside out by now. It targets spinsters and widows, especially those with estate. Their neighbors are encouraged to report them as witches – some doctrine of “Love thy neighbors” in the name of Christ. They would be arrested, hideously tortured until they confess to be witches, burnt alive at the stake, and their estates confiscated. How do you think the church has become to filthy rich? With what money do you think a dungeon like this is built, and the salaries of the entire Inquisition industry is paid? Yes, it is an entire industry unto itself, one developed through the more than two centuries of this most evil institution since it began in the 14th Century, comprising the full time inquisitors, the transcript scribes, the moral police, the professional torturers, the torture instrument designers and makers, the builders of torture chambers, the bribers of neighbors… Hundreds of thousands of women have been burnt at the stake thus far; some estimates go into the millions. 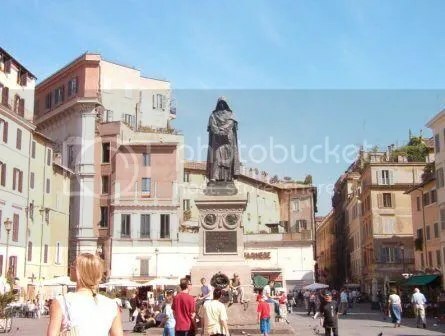 One has to access the vault of the Vatican to obtain the accurate figures – the number of people tortured and burnt, the amount of monetary and real estate intake, the amount paid out. The only certainty is that the Church pays no taxes, but enriches itself further with tithe. Men burnt at the stake are far fewer, but their fate is no less horrid, though their causes of arrest – the beginning of the end – is not monetary. They are the heretics, who somehow challenge the authority of the Church in some way. 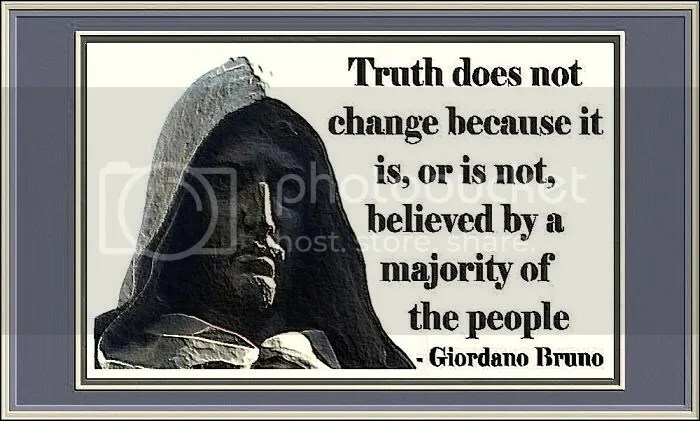 Theirs is a public display of the Church’s absolute power over all forms and manners of dissent, open expression of doubt in its dogma and doctrine, question, disagreement, argument, challenge, innovative thought, quest for change. These men, myself included, are to serve as the medium through which the Church exercises its reign of terror over the masses, especially the intelligentia. My spiritual mentor, Nicholas Copernicus, author of De Revolutionibus Orbium Coelestium (On the Revolutions of the Celestial Spheres), which propounds the Helio-Centric model of the Solar System (versus the Earth-centered model as upheld by the Church), upon which some of my own teaching is based, would not even dare to have his book published until his death in 1543 – five years prior to my birth. How ironic, that our Lord Jesus is the greatest rebel of all time, a rebel against the 1400 religious laws such as this and strove to replace them with the single, pure, quintessential LOVE. And now the Church established in His name, has reverted back to what he rebelled against. A trio of dark figures appear, the tall one hovering over the rack. 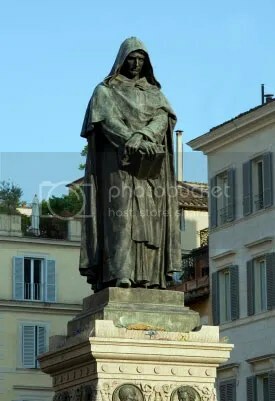 “Giordano Bruno, wake up.” A quiet command from the tall one, the one in the clerical garb. He has no need to be loud. I make no sound, part of the reason being that it is difficult even to breath with my body stretched so taut. 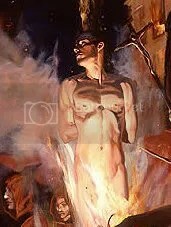 The swarthy one casually picks up a red hot poker from the coals and touches it lightly on my naked abdomen. A hissing sound, but not from my mouth. I twitch a little, but not by much due to my tight constraints. “Are you awake or not?” asks the inquisitor. The slender one sat at a desk behind the tall one, preparing to inscribe every word. “The Earth revolves around the sun. Its movement has no significant bearing on the stars. A woman’s prolonged scream through a corridor, piercing the night, followed by sobs, and moans, and indescribable sounds of sorrow and despair. The scream comes again, nor painful to my ears, and my heart, than the rack is to my body. He nods to the swarthy one, who eagerly touches the red hot poker on my thigh, and let it linger. He waddles to the head of the rack behind my head and is gone from view. I know what is coming, and brace myself. I hear one CLACK! as he cranks the rack lever by one notch, then another. Almost simultaneously, there come two loud POPs in quick succession, this time from my shoulders. An unbearable pain, then nothing. My normal vision returned. The ceiling fan was still turning. The night outside the partially open venetian blinds was still pitch back. My body was still feverish. But somehow, the pain in my stomach seemed somehow insignificant, though it still kept me awake for the rest of the night. Now that I’m well on the road to recovery, I fantasize that, if reincarnation is real, I could have been Bruno in one of my past lives. 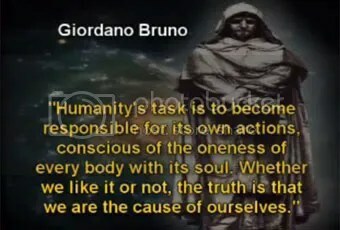 And if so, Bruno is still working within me. In 1979, I went camping solo in East Africa, “in search of myself”. 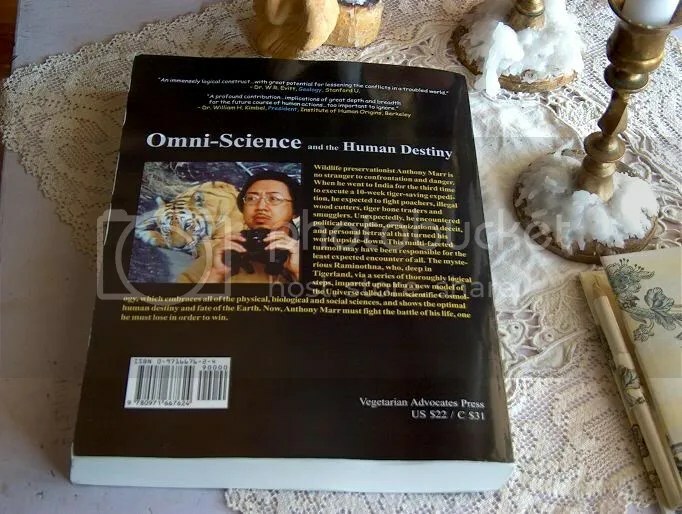 Two months later, I returned to Canada with two thousand pages of hand written notes, which in the following quarter century I wrote into a 600-page book titled “OMNI-SCIENCE and the Human Destiny”, published in 2003. In this book, I proposed a new philosophical system called the OMNISCIENTIFIC COSMOLOGY, where “omni” means “all-in-one”, including not just the physical sciences but the biological and social sciences as well. This new system of philosophy has been assessed by over 30 scholars of 5 universities, and described variously as “original”, “formidable”, “revolutionary”, “profound”, “extraordinary”, “an immensely logical construct” and “a beautiful synthesis” (see below). 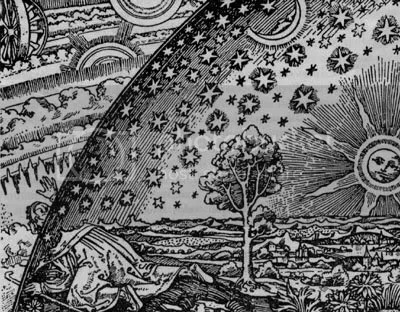 In 2008, I created a video based on the Omniscientific Cosmology, titled “The Meaning of Life according to Anthony Marr”, with two versions – 11 minutes and 26 minutes in duration respectively, both being heretical in the extreme, especially when, in the end, they offer a new definition of God, and a new relationship between Homo Sapiens and all life on Earth, which represents a radical departure from the standard doctrine of any extant religion. Were the Inquisition still on today, I should buy myself a fire-proof suit. In the final analysis, our society abounds with heretics. Anti-hunting activists are heretics, who are being repressed by the hunting establishment, where asking trespassing hunters to get out of your own land subjects you to prosecution under the hunter-harassment statutes. Vegans are heretics, who are being repressed by the meat production establishment, where causing as little as $10,000’s loss of revenue to a factory farm by peaceful means is punishable under the Animal Enterprise Terrorism Act. Animal rights activists are heretics, who are being repressed by the animal-exploitation establishment, where setting free a tortured or caged animal out of love, conscience and compassion could cost one his own freedom and put one behind bars among domestic abusers, child molesters, psychopaths, sociopaths, rapists and murderers. 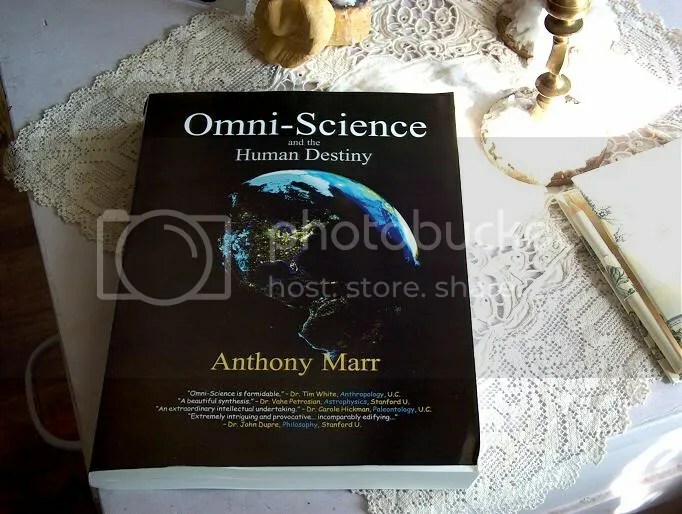 [OMNI-SCIENCE and the Human Destiny] is available at http://www.Amazon.com – new price $22, used price, up to $220. Astronomy and Physics, Prof Marc Davis: … a forward- looking moral framework… an important contribution to society..
Anthropology, Prof Tim White: … Anthony Marr’s synthesis is formidable. Institute of Human Origins, Berkeley, Dr. William Kimbel: … a profound contribution… implications of great depth and breadth for the future course of human actions… too important to ignore..
Astrophysics, Prof Vahe Petrosian: fascinated… very ambitious task… a beautiful synthesis captivating… should be of interest not only to experts but to all thinking people of the world. Anthropology, Professor John W. Rick: very thought provoking a serious, well-founded vision. Philosophy, Professor John Bogart: … has plainly synthesized a great deal of information in a number of distinct disciplines organized it into an interesting and coherent whole… compelling… intended to have moral import can be cast into a form of interest to moral philosophy. Geology, Professor W.R. Evitt: … sincerity, imagination, intellectualism and scholarship an immensely logical construct meticulously thought out, with great care majestic in scope but intrinsically simple, satisfying and optimistic important ideas with great potential for lessening the conflicts in a troubled world.. The 2010 Animal Rights National Conference in DC (AR2010, see http://www.ARConference.org) was without a doubt the high point of the year thus far, for me and for my 40-states-in-7-months Compassion for Animals Road Expedition #7 (CARE-7). It would certainly be a hard act to follow for the rest of the year, and the rest of the tour. But miracles can happen, and they do, in the world as in life. The last 10 days of July was a decompression period, from both the high-powered conference as well as the go-go-go schedule of the tour up to this point. The first thing I did after the conference, while I was still in Washington DC, was to visit the Smithsonian Institution with Catherine Garneau, with whom I share a passion in Paleontology and Anthropology. Since she had only one day left before going to Pittsburgh to spend some time with her mother, we concentrated on the Museum of Natural History. And it met our expectations and more. Within those walls is over one billion years’ worth of evolution, from unicellular organisms to multicellular lifeforms, via the fishes, which gave rise to the amphibians, which in turn gave rise to the reptiles, which in turn gave rise to the mammals and the dinosaurs, the latter in turn gave rise to the birds before being exterminated by an asteroid 64 million years ago, which allowed the mammals to proliferate, which eventually gave rise to our species Homo Sapiens. I have always considered understanding our origin a necessary step to understanding our nature and our fate and our destiny. It was a great pleasure to see Catherine seriously and meticulously taking pictures of whatever captured her fascination, and a great pleasure doing so myself. On top of the subject matter itself, we were fascinated to see not only the presence but the prevalence of “orbs” in most of the pictures, as we were when we first saw an “orb” in the picture of Catherine in a graveyard near Plainfield, NJ, which I took when, late one evening, we were returning to Steve Ember’s place after a late dinner with Carol Davis and Michael Jessie. There was even one in the picture Showing Alex Hershaft presenting to me the Henry Spira Grassroots Animal Activist Award at the AR2010 Conference. To this day, as a lay physicist, I have not determined what an “orb” really is. In writing about the Smithsonian, my only reservation is the elephant exhibit dominating the rotunda. My research has revealed that he was killed by the Hungarian “big-game” hunter Josef J. Fénykövi in Angola in 1955. I have deliberated on whether to exclude its picture from this blog. I have decided on including it, because even in death this amazing creature at once commands awe with his magnificence, which inspires reverence for those elephants still living in the wild today. I do not want to bury him under the substrate of ideology. I do not want him to die in vain. I have a few words to say to Mr. Fénykövi, if he is still alive, and more than a few words to the serial-killing trophy hunters of today. The next day, I drove Catherine from DC to Pittsburgh. Somewhere along the way, we caught up with an 18-wheeled animal transporter stuffed full of pigs destined for slaughter. It so happened that the mammoth monster pulled into a rest stop and its driver went into the food court. This gave us the time and opportunity to photograph the vehicle as well as its unfortunate contents. It was a heart-breaking experience, to look into the eyes of these sentient beings, knowing that they would be dead same time the next day, some dunked into boiling water alive. The fact that they are likely unaware of this dreadful fate makes it all the more poignant for us, because it makes this a clear case of the evil taking lethal advantage of the innocent, no better in essence than the Nazis herding children to the gas chamber, telling them that it was a shower house. I visited with Catherine’s mother Patricia for a couple of hours, and she lovingly gave me a care package comprising four bags of vegan cookies for my drive back to New Jersey and the days ahead. And they came in as a comfort to me when I had my mishap on the highway. While zipping along at 70-mph on I-76, approaching the town of Bedford, my left front tire ran over something sharp on the road surface, which caused it to catastrophically deflate. After I had brought the Green Hornet safely on to the shoulder of the highway, the side walls of the tire had been shredded. Good thing I had my cell phone (donated by Steve Kaufman) and AAA card with me. Two hours, $110 and half a bag of vegan cookies later, I was back on the road again, and finally arrived back at Steve Embers place just before midnight. On July 30, I moved over to GAHC co-VP Caroline Tirrel’s semi-rural residence in New York, there to enjoy her deer friends who frequent her backyard from dusk till dawn. She has names for each and every one of the bucks – Prince, White Shadow, Nephesh, among others. White Shadow had gone missing for a couple of weeks, and on the second day of my arrival, much to Caroline’s relief, reappeared, but much to her concern, with one whole branch of his right antler torn off, leaving a black, tarry substance congealed on the right side of his face. But her main concern is for Prince, a majestic male with an 8-point rack of antlers, then still in velvet. “He won’t last this upcoming hunting season. The hunters will kill him for his beauty,” she said more than once, always on the point of tears. Every year, she has cried her heart out over her dearly beloved deer friends killed by the hunters. Each time, she said that she wanted to move away from this heart-breaking place, but every time, she said that she could not bear to leave her friends. And every time, it fills me to overflow with an impotent rage, which on the other hand always makes more potent my determination to defeat the hunters. While Catherine, Caroline and I were conferring on our evening skype sessions, I found myself going outside repeatedly to see the deer and photograph them by night flash. Just as amazingly as in the graveyard and the museum, I’ve found many a picture showing “orbs” surrounding these noble creatures. In a pair of pictures focused on Nephesh – the one with the broken leg – taken but 5 seconds apart on a still and windless night, one was full of “orbs” and the other one was totally devoid of them, which settled in my mind that they are not just dust particles reflecting the light from the flash, or condensation on the lens, as some skeptics have contended. Still, I do not know what they are. Speaking of pictures, Caroline made a video with those Catherine and I took at the rest stop, featuring prominently the one showing the blue-eye of a pig staring uncomprehendingly out a porthole of the slaughter-house-bound transporter. We decided to used The Who’s “Behind Blue Eyes” as the background audio. The result was a powerful video which by now has been circulated far and wide throughout the AR community, which won Catherine over 500 new friends in Facebook within days. Anthony Marr on WGCH radio, Greenwich CT, Aug 2, 2010 from Anthony Marr on Vimeo. On August 4, Wednesday, I drove over to my long time friend Natalie J’s home in Greenwich, CT, a small piece of paradise on Earth with it’s own semi-private lake sustaining flocks of Mallard ducks and Canada geese. As Caroline is haunted by the spirit of the deer, so is Natalie. She has fought City Hall and the DEP (Department of Environmental Protection) about urban deer culling and hunting for years. She has spent her own money conducting a professional scientific deer count to refute the overblown numbers by the prohunting government, the results of which being summarily dismissed, although conducted by the DEP itself and by the same wildlife biologist. Once, she had gathered over a thousand signatures on another protest, which were ignored, when the mere 300 counter-signatures by hunters were given priority. Actually, neither was accepted. The DEP stated, when presented with both petitions, that neither was acceptable because “the number of signatures don’t count”, which, in essence, was discounting the 1,300 signatures in Natalie’s petition which represented the vast majority. She said to me, “The other day, I saw a doe with two spotted fawns. Come mid-September, she will likely be killed, and the fawns won’t survive. And the hunters will say, ‘Look how emaciated these young deer are, which proves that they have wiped out the environment. '” She is haunted further by the fate of her beloved Canada geese, some 170,000 of them being slated for slaughter as of some time in September in nearby New York. And her compassion envelopes the cats and dogs. When you walk into Natalie’s house, which would strike you as being well appointed and immaculate, you would not guess that it is a sanctuary and half-way house for some 70 cats, and a dog. She seems busy all day long looking after them, and shelling out $1,000-$2,000 per month in regular maintenance, not counting extraneous vet bills, only part of which beinbg covered by donations. Her friend Lynn G. does about the same. 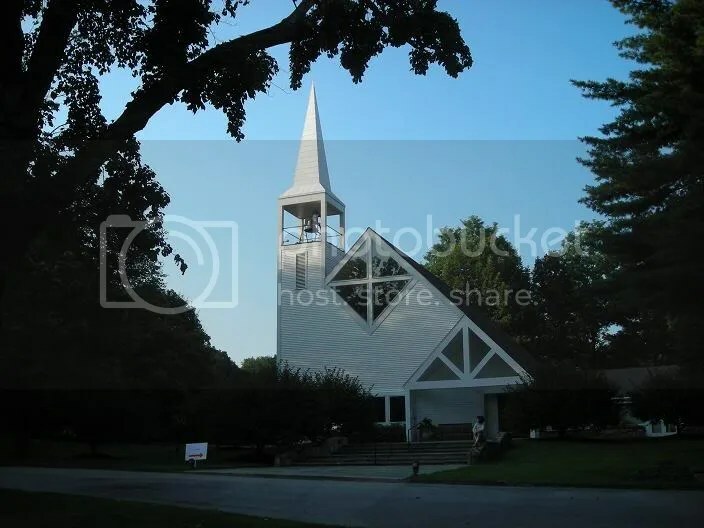 On August 5, Thursday, Natalie drove me to the Round Hill Community Church for my lecture, and I was given the pulpit itself by the pastor for my “sermon”. One of those who attended, I was told, was the famous Connecticut anti-hunting activist Greer Ashton. Professional videographer Michael Chait was there, who recorded the entire speech together with the post-speech Q&A. The HD-video is now up in Vimeo, and has also been shared on numerous sites and blogs. On August 7, Saturday, I drove to New Haven, CT, and gave a talk in the paleontology building at Yale University, hosted by Vicki Yarborough-Fitzgerald, who works in Yale’s famous Peabody Museum, at whose residence I stayed several nights. Before the talk, she took me and several others, including her husband Matt Fitzgerald, for a tour of her lab. Paleontology is one of the most fascinating fields, but judging by what Vicki has shown us, the work itself is no picnic, in the lab or in the field, and certainly nothing quite as breezy as what is portrayed to the public in Jurassic Park. 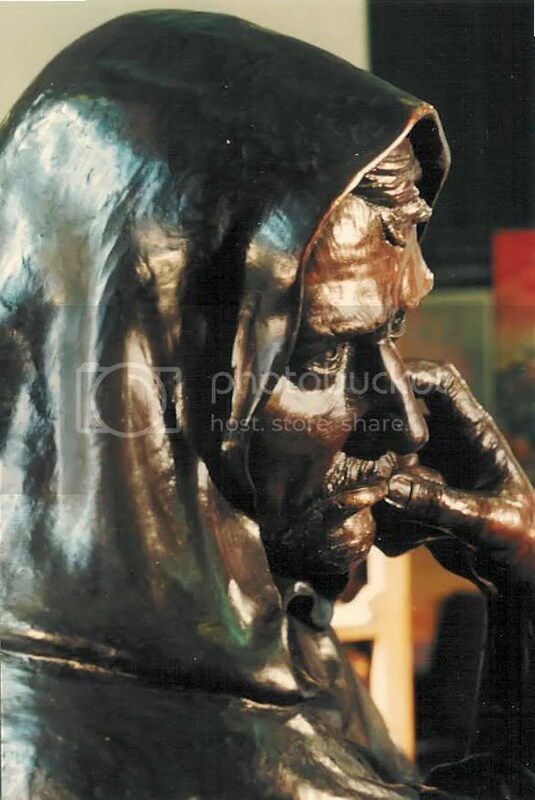 On August 8, Sunday, I drove up to Sherborn, Massachusetts, to deliver a lecture hosted by Dot Walsh and Judith Pruett-Prentice at the Peace Abbey, a place for spiritual renewal and non-violent activism, near the gate of which stood an 8′ bronze statue of Mahatma Gandhi. Unfortunately, the talk was somewhat usurped by a natural phenomenon – the Monarch butterfly migration – to which I humbly submit. But Louise Coleman, Director of Greyhound Friends Inc., who was present at the talk, has volunteered to promote my upcoming lecture on August 22, Sunday, at the Maple Farm Sanctuary in Mendon, MA, only a half-hour’s drive from Sherborn. On the libel and slander front, Catherine had a direct conversation with the director of a group in Cincinnati, Ohio, who is a recipient of one of Anthony Damiano’s defaming mass emails titled “Beware of Anthony Marr”, which painted me as being physically violent, the issuer of death threats and a sexual predator, warning her to not let me near any women, herself included, for their own safety. She was so disturbed that she was going to cancel my speaking engagement scheduled for September. Only Catherine’s sincere and substantial rebuttal saved the day. Meanwhile, just five days ago, Damiano posted in a public site (see http://www.telonu.com/reviews/anthony-damiano?nt=30669&type=Tells) the following message: “Anthony Marr has absolutely no class. He has lied repeatedly about other groups. He is against Paul Watson/Sea Shepherd as well as many other groups. Don’t listen to what he says. He is a fake, a charlatan and a liar. He thinks aliens have chosen him to save the world by driving around the country, burning gasoline and speaking about global warming. He is an idiot. 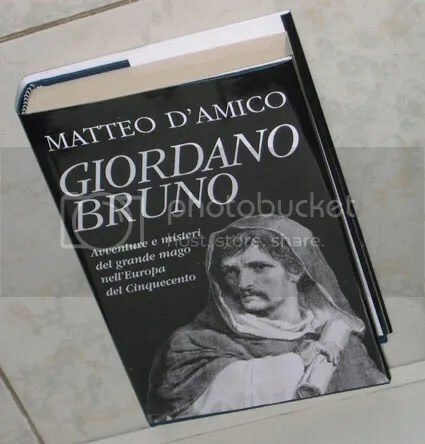 Don’t listen to him.” Most if not all the comments in his support were written by Damiano himself under various aliases. 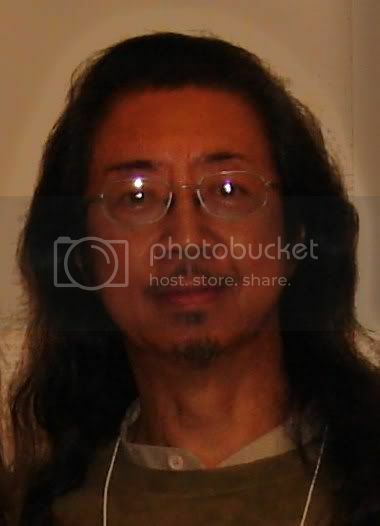 I have also been informed by others that he told them I once said that Marla Stormwolf-Patty was “a prostitute”, and that “she looked familiar” to me – a new fabrication of his, the implication of which being clear, and hideous. He also characterized Catherine as being “dead hearted”, whereas she has one of the most compassionate hearts I’ve felt on the entire planet. All these and more we have been providing to our attorney, who has since accumulated a sizable folder full of libelous, slanderous and defamatory material. This is why we smile at such self-incriminating ammunition provided so recklessly and foolishly to us by this not too intelligent and grossly unworthy adversary. In the next two months, We have set up speaking engagements and other events in Boston MA, Albany NY, Troy NY, Rochester NY, Cleveland OH (2), Dayton OH, Cincinnati OH, Indianapolis IN, Chicago IL, Madison WI, Milwaukee WI, among others, and more to come in other states as MO, KS, CO, and UT. Please stay tuned. 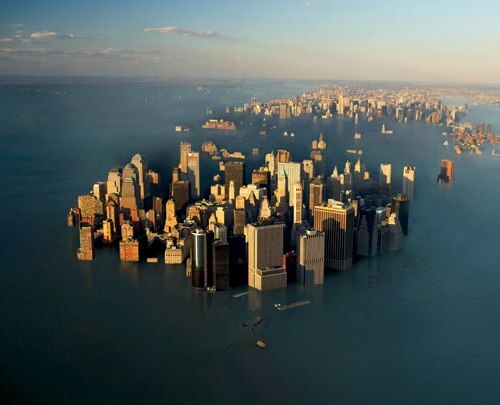 Anthony Marr interviewed by Ginger Leilani Chapin on WGCH radio, Greenwich CT, August 2, 2010, on his second book [Homo Sapiens! 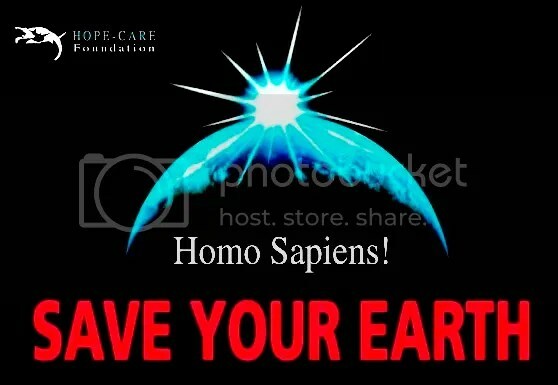 SAVE OUR EARTH!] 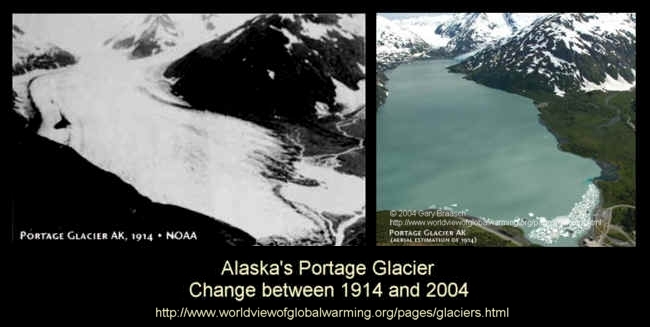 regarding the imminent detonation of the “Methane Time Bomb”, resulting in the dreaded Runaway Global Heating which could drive millions of species to extinction and our children’s future world into a hell on Earth, as well as the actions we must take immediately or sooner to avert a worldwide catastrophe.